Melaka is one of Malaysia’s most highly sought after destinations. Along with Georgetown Penang, Melaka was listed as a UNESCO world heritage site in 2008. There are many heritage sites, ruins of forts, temples, churches, colonial buildings, and old architecture which you will discover when in Melaka. Melaka can be visited any time throughout the year, with the temperature sitting at 30 degree Celsius. Typically, the dry weather months are April, May, and October, making it the best time to visit Melaka. The wettest months with rainfall are in June and November. 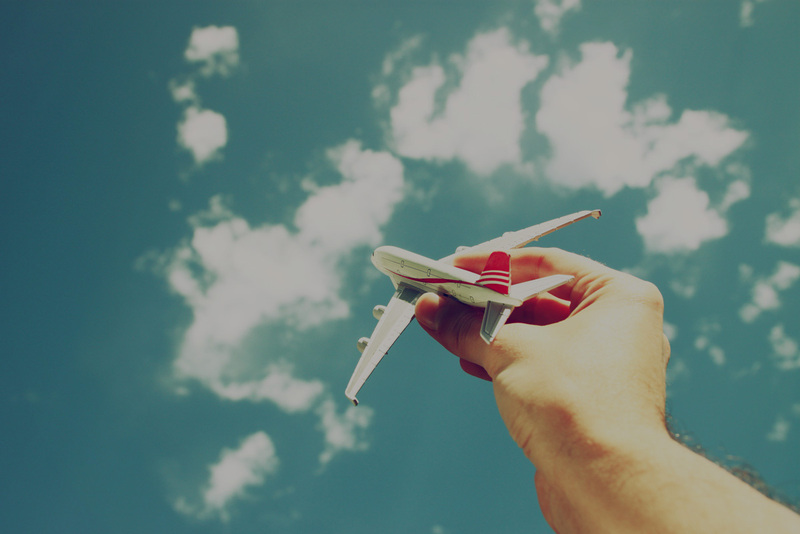 As hosts, we are more than happy to assist in planning an itinerary that is friendly to your pockets. Just scroll down to see the activities that you can pack your day with while in Melaka! 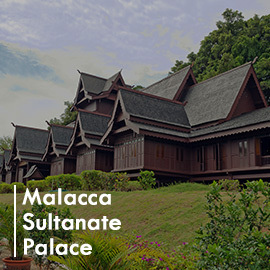 Malacca Sultanate Palace is a wooden replica of Sultan Mansur Shah’s 15th century palace, the museum is home to more than 1,350 artefacts from the Malacca past, such as weapons, traditional costumes and jewellery. 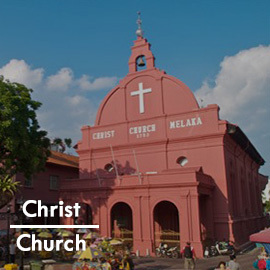 Built by the Dutch when they wrestled control of Melaka from the Portuguese, it is easily recognisable as a brick-red building with a huge cross on top. Inside of the cathedral are pews that are at least 200 years old, and plaques for decorated Dutch soldiers and locals. 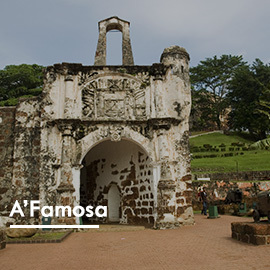 Originally a fortress that housed the entire Portuguese administration and a hold against foreign invasion, A’Famosa was partially destroyed by the British. Its complete destruction was stopped by Sir Stamford Raffles, the founder of Singapore. 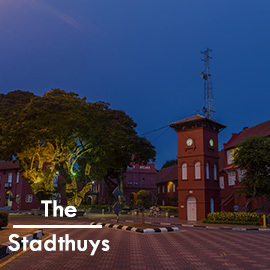 The oldest-standing Dutch building in the east, The Stadthuys was once the residence of Dutch governors and officers until it was converted into a museum, showcasing Malaccan customs and traditions, and the city’s rich history. 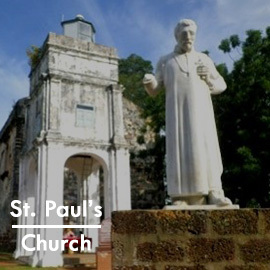 Located at the top of St. Paul’s Hill, St. Paul’s Church is home to some famous tombstones and graves, such as St. Francis Xavier, a Catholic missionary of Southeast Asia. Although mostly ruined, some tombstones can still be seen along the walls. Jonker Street was once renowned for its antique shops. Over the years it has changed to house clothing and crafts outlets as well as cafés and restaurants. 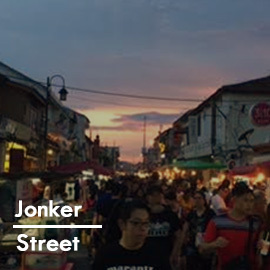 On Fridays and Saturdays, Jonker Street transforms into a night market where vendors sell everything from tasty treats to keepsakes. 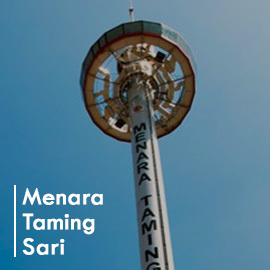 Bask in a spectacular and panoramic view of Melaka UNESCO World Heritage City and sights such as St.Paul’s Hill and Melaka River from 80 metres above ground. The ride up will make your visit to Melaka a memorable one. 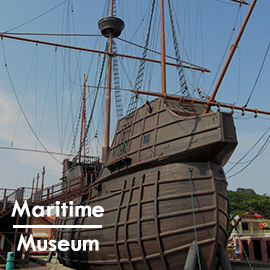 The Maritime Museum is housed in a replica of the Portuguese ship which sank in the coast of Melaka while on its way to Portugal. The replica is a staggering 34 meters in height and 8 meters in width. Explore the museum to understand more about the maritime history of Melaka through exhibits such as porcelain, silk, textile, and spices. The Melaka River stretches from Dutch Square and goes past Tan Boon Seng Bridge. Hop onto a river cruise and enjoy a leisurely ride, watching the sunset as you sail through colonial buildings, antiquated shophouses, local settlements, and ancient bridges. As well as modern decorations and local art displays within Melaka. your inbox and stand to WIN a free night's stay! Copyright © 2016 The Hip And Happening Group Holdings. All Rights Reserved by The Hip and Happening Group Holdings Pte Ltd. All intellectual property rights in this material are owned by The Hip and Happening Group Holdings Pte Ltd. This includes but is not limited to materials protected by copyright, trade mark or other intellectual property laws. The Rucksack Logo and all variant marks, including the Beach Club, the Caratel, Vacation Home, Rainforest Kayaking and Heritage logos are trade marks of The Hip and Happening Group Holdings.